We are pleased to offer a large colleciton of used sewing machines ranging from basic home machines to fully computerised professional products. As part of our service policy we will offer you a trade discount on any of your purchases from us. The Bernina 700 is a heavy duty sewing machine which is ideal for dress making, patch work classes,.. I really love the Décor Excel II 5024 because of it's large choice of 24 stitches and automatic one.. The Bernina 830 is a free arm sewing machine, made in Switzerland. It's widely considered the Rolls..
850 industrial sewing machine zig zag nice condition with stand and light. 6 mm max stitch length. .. THIS IS A BERNINA 801 FREE ARM SEWING MACHINE, MADE IN SWITZERLAND, THE ROLLS ROYCE OF SEWING MACHI.. THE BERNINA 1005 IS KNOWN FOR ITS SWISS PRECISION, EXCEPTIONAL QUALITY, AND HIGH MANUFACTURING STAN..
A Singer 222k number EP132909 in immaculate condition with all metalwork bright and polished, all p.. The Memory Craft 1600P is a professional industrial machine which boasts a dedicated straight stitc..
Just Arrived and fully serviced and ready for sale, description to follow.All used Bernina sewing m..
Bernina 930 record--you will be looking at and considering the very best---and this is definitely o..
Bernina 1031 Very rare and this machine has only been used a handful of times in its life The machi..
Janome 8900 QCE Memory Craft Top loading full rotary hook bobbin system 270 built in stitches up to.. The Janome DC4030 is a computerized multi-purpose machine capable of both delicate work as well has..
Bernina 930 record sewing machine it sews each and every stitch with ease and beauty. This machine ..
JANOME EMBROIDERY / SEWING MACHINEMEMORY CRAFT 9700THIS MACHINE IS BOTH A EMBROIDERY AND SEWING MAC.. The Bernina 802 model was produced from 1979 to 1983 and is classed as a heavy duty sewing machine,.. When Janome designed the 1000CP they took aspects from both the industrial style cover hem machine ..
Bernina's Artista 200E is a computerized sewing machine that's actually controlled by Microsoft Win..
BERNINA Artista 170 Sewing Machine Quilting Edition This machine is in excellent condition. It has ..
Bernina 932 Record sewing machine is in good condition for its age and sews beautifully and has all.. The Memory Craft 6500P is not your usual home sewing machine. It is a computerized dream machine fo.. The BERNINA Artista 170 is a sewing machine with Embroidery unit. It has been fully serviced by mys.. The Bernina 1001 is a traditional mechanical sewing machine (no computers) that provides basic func.. The Memory Craft 6600P is a fully computerized sewing machine from Janome, one of the leading manuf.. The Bernina 1008 is a traditional sewing machine that's perfect for general purpose sewing and at a.. THIS IS ONE OF THE FINEST EXAMPLE OF THIS BERNINA MODEL SEWING MACHINE I HAVE SEEN. THE BERNINA 83.. This BERNINA 801 SPORT is in great condition and has just arrived. It's a mechanical sewing machine..
A unique opportunity to purchase a genuine original Bernina 930 Recoed a truly stunning machine, d.. This is a Bernini 910 free arm Sewing Machine, made in Switzerland - widely considered the the Roll.. The Janome Memory Craft 200E is an affordable computerized sewing machine with exceptional performa..
Artista 170/180 Embroidery Module Complete The perfect addition to your computer sewing machine for.. This is a Bernina 807 free arm sewing machine, made in Switzerland, the Rolls Royce of sewing machi.. This is a Bernini 910 free arm Sewing Machine made in SwitzerlandThe Rolls Royce of sewing machines.. THIS BERNINA 707 IS ONE THE FINEST EXAMPLE OF THIS MODEL SEWING MACHINE I HAVE SEEN.ITS A FREE ARM,.. THIS IS A BERNINA 730 RECORD FREE ARM, MADE IN SWITZERLAND, THE ROLLS ROYCE OF SEWING MACHINES. IT ..
A Genuine Bernina Nova 900 Swiss made Bernina, the Rolls Royce of sewing machines!The 900 Nova is a.. Manufactured in the late 1990's, the Husqvarna Viking 500 is a computerized sewing and quilting mac.. THIS IS A BERNINA 807 FREE ARM MADE IN SWITZERLAND THE ROLLS ROYCE OF SEWING MACHINES IT HAS A CAST..
Bernina 1100d overlocker. Full sized well engineered machine with very easy to use controls. This .. THIS IS A BERNINA 707 FREE ARM MADE IN SWITZERLANDTHE ROLLS ROYCE OF SEWING MACHINES IT HAS A CAST .. The Janome sewing machine 4623 has the features you need if your sewing time is at a premium. The J..
An excellent value, high quality, basic overlocker,that still offers the complete range of 4 ; 3 ; ..
ELNA LOTUS COMPACT [PORTABLE] SEWING MACHINE THIS MACHINE IS PRECISION AND MADE IN SWITZERLAND BY .. This Bernina 801 sewing Machine is a Heavy Duty machine Ideal for Dressmaking Workshop, Patchwork C..
15 stitches including one four-step buttonhole Auto-declutch bobbin winder system Stitch length and.. Here for sale Viking Husqvarna 6690 sewing machine this sewing machine has 45 built in stitch patte..
Janome XC 33 Computerised Sewing Machine is as new and has the usual excellent Janome stitch qualit..
Elna Lotus Sewing Machine (Swiss precision)The Elna weighs only (8kg) and is easy to carry with no ..
SINGER STARLET 353 PORTABLE SEWING MACHINE . These machines were made in the swinging sixties (note..
it was manufactured in Clydebank Scotland in April 1951 and bears the centenary badge signifying t..
Mitsubishi Industrial Sewing Machine LS2-1130 Single Needle, High Speed Lockstitch with Automatic L..
All used machines are tested thoroughly in our workshops to ensure they meet the strict guidelines for your sewing needs. We also offer the same warranty period on used machines and new machines. 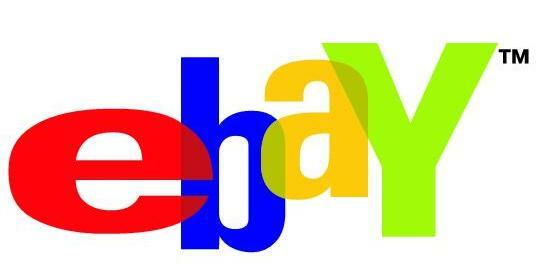 If you're looking for a bargin, why not take a look at our current ebay listings? We have new and used sewing machines listed on eBay, but hurry before the bidding ends!